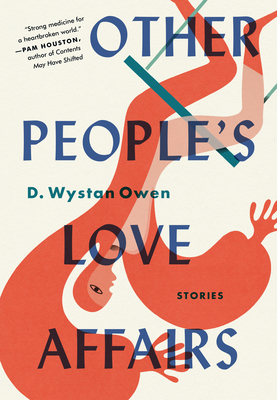 In the ten luminous stories of D. Wystan Owen’s debut collection, the people of Glass, a picturesque village on the rugged English coast, are haunted by longings and deeply held secrets, captive to pasts that remain as alive as the present. Each story takes us into the lives of characters reaching earnestly and often courageously for connection to the people they have loved. Owen observes their heartbreaks, their small triumphs, and their generous capacity for grace. A young nurse, reeling from the disappearance of her mother, forges an unlikely friendship with a local vagrant. A young boy is by turns dazzled and disillusioned by a trip to the circus with a family friend. A widower revisits the cinema where, as a teenager, he and an older woman shared trysts that both thrilled and baffled him. A woman is offered fragile, uneasy forgiveness for a cruel act from years ago. And in the title story, a shopkeeper’s vision of the woman she loved is upended by the startling revelation of a secret life. Surprising and powerful, and in the classic tradition of fiction by James Joyce, William Trevor, and Elizabeth Strout, Owen’s interconnected stories strike a deep and resounding emotional chord. D. Wystan Owen holds an MFA from the Iowa Writers’ Workshop. His fiction and essays have appeared in A Public Space, theAmerican Scholar, Literary Hub, and the Threepenny Review, where he is Deputy Editor. A citizen dually of the United States and the United Kingdom, he now lives in Northern California. "D. Wystan Owen's stories are studies in quiet perfection. They seem simply to go about their business, with no interest at all in breaking your heart, which makes it all the more devastating when they do. They are deep and honest and graceful, and above all unpitying, yet there is an ache at the center of each one."